Intermediates and advanced intermediates have their run of the resort’s 130-plus miles of skiing. 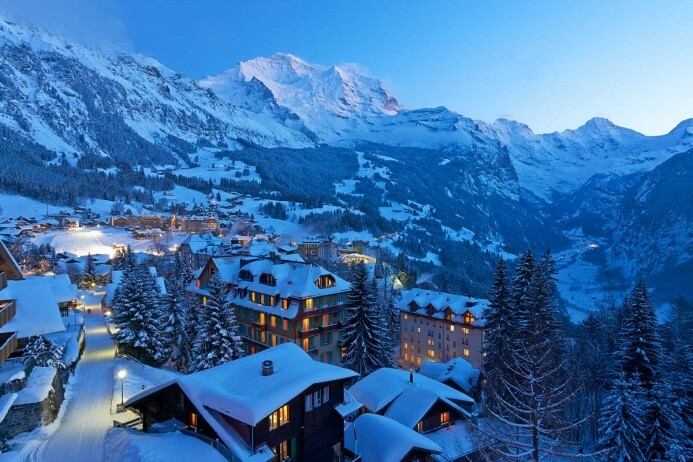 Because Wengen shares slopes of the Kleine Scheidegg with Grindelwald resort, intermediates have access to even more perfectly manicured cruisers. In fact the only true black runs are found on the trails around the Lauberhorn. A 6 seat Cessna Citation CJ2 jet from London to Berne (35 miles away from Wengen and the closest airport) is approximately 1 hour 20 minutes. A larger 8 seat Cessna Citation XLS will complete the journey in 1 hour 15 minutes. The drive time from Bern to Wengen is approximately 1 hour. Arranging a private jet charter or helicopter transfer with Freedom Air to arrive in style to Wengen is simple. The Freedom Air team can be reached on +44 (0) 1275 548001 to book your next trip.